Steel security doors certified by LPCB to LPS 1175 Issue 7 Level SR4. ExcluDoor® 4 Mk 2 FR single doorset. 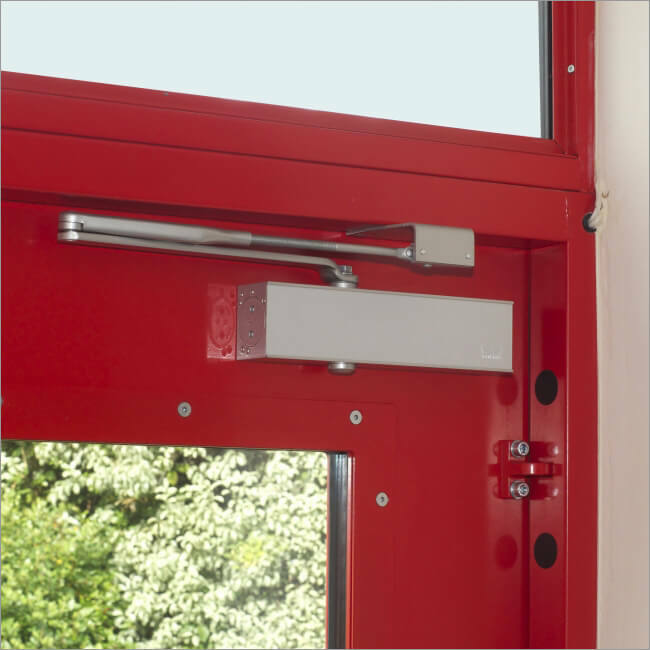 A range of single, leaf-and-a-half and double leaf high security fire rated steel doorsets, which can also incorporate an ExcluGlass® 4 Vision Panel with SR4 security rating. 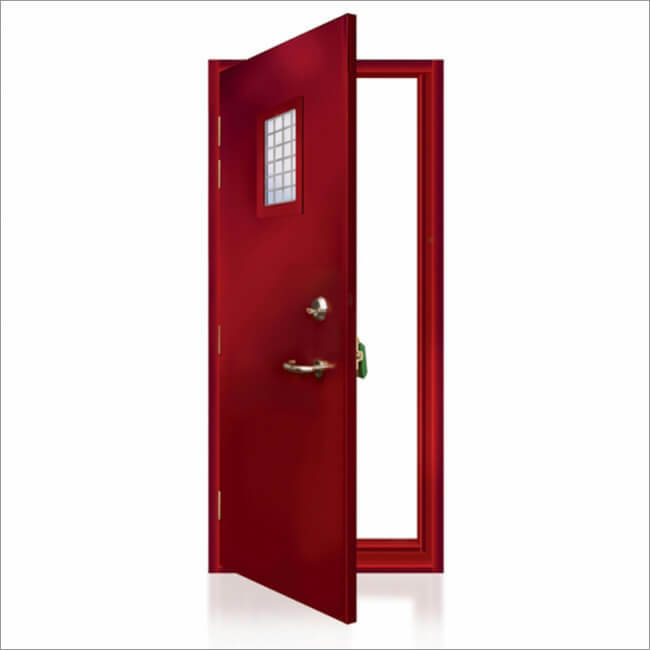 Provides a 4 hour fire-rated tested in accordance with BS EN 1634-1: 2008 and LPS 105: Issue 6.1 for both single, leaf-and-a-half and double doorsets. 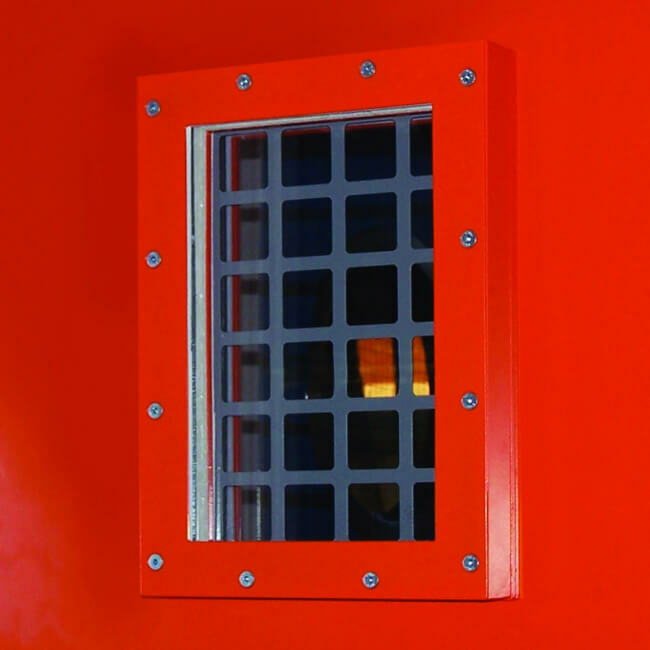 Can incorporate a high security ExcluGalss® FR vision panel with both one and two hour fire rating, in compliance with BS EN 1634. Independent hooked dog bolts at top and bottom of door leaf. Material: 1.5mm electro-zinc coated steel. Profile: Single rebated 45mm x 100mm. Reinforcing: At hinges, lock keeps and fixing points. Material: 1.5mm electro-zinc coated steel incorporating an additional drill-resistant steel protection plate in attack face. Size: 45mm thick composite door leaf with an anti-lever cover plate to closing edge of leaf. Weight: Approximately 60kg per square metre. 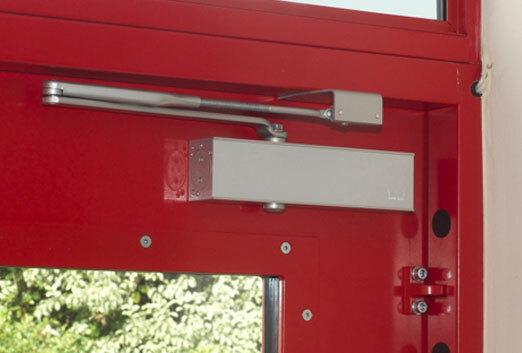 Multi-point locking combinations available for personnel access and emergency escape. Can incorporate a high security ExcluGlass® 4 FR vision panel with both one and two hour fire rating, in compliance with BS EN 1634. Many optional extras are available including external lever handles, weather seals, kick and push plates, overhead door closers, alarm contacts and electronic lock status monitoring. Product certification details can be viewed by downloading the PDF. Single doorset incorporating fire rated vision panel and panic bar. ExcluGlass® 4 FR vision panel with both one and two hour fire rating.